In February 2006, President Rajapaksa appointed Nihal Jayasinghe J as Acting Chief Justice overlooking the seniority of Bandaranayake J and Weerasuriya J. On 11th March 2008, in the presence of the Hon. D.E.W. Gunasekera, C.R. de Silva (then Attorney General) Lalith Weeratunga and several others, President Rajapaksa pleaded that Ranil Wickremasinghe had mis-led him into believing that he could not appoint Shirani (his good friend who hailed from Anuradhapura and was doing very good work) as Acting Chief Justice for the reason that she had not served in the legal profession for 25 years. 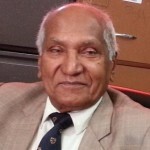 In return, Jayasinghe J totally suppressed one application to the Supreme Court challenging inter alia the appointment of Balapatabendi J as President of the Court of Appeal in May 2006, and in another such case, fraudulently altered in August 2006, the order made by him on 30th June 2006 rejecting the application. Jayasinghe J was the beneficiary of further patronage by appointment as High Commissioner in the UK, immediately after retirement. On 6th April 2006, Speaker W.J.M.Lokubandara received a letter from President Rajapaksa purportedly urging him to activate the Constitutional Council. Without directing the Secretary General of Parliament to summon a meeting of the nine members already duly appointed and/or duly nominated for appointment to the Constitutional Council, the Speaker consulted the Attorney General, K.C.Kamalasabeyson, PC to discern what legal powers he had to carry out such a function. The AG responded setting out clearly what steps the Speaker could and should take to activate the Constitutional Council. Speaker Lokubandara refrained from doing so and in due course was the beneficiary of a patronage appointment as a Provincial Governor. In time, AG Kamalasabeyson was requested by the President to retire prematurely and C.R. de Silva, PC received appointment as Attorney General, from President Rajapaksa. In return for this “patronage appointment”, C.R.de Silva, PC, endorsed the President’s authority to continue making arbitrary appointments in patent violation of the Constitution, on the basis that the legal opinion tendered to him (by his Counsel, C.R. de Silva, PC) was that the statement of Sarath N. Silva CJ in the Supreme Court determination on the 17th Amendment that “The 17th Amendment was subject to Legislative Policy”, entitled President Rajapaksa to intentionally violate the Constitution – which alone reflected “Legislative Policy”. In June 2009, President Rajapaksa appointed as Chief Justice Asoka Silva J, (who could not have been unaware of the fact that his daughter had been admitted to the Colombo University Faculty of Law as a result of a highly questionable intervention by the Supreme Court), once again overlooking his “good friend Shirani Bandaranayake”. As the most senior judge Bandaranayake J alone could have been appointed as Chief Justice, under the 17th Amendment which was at that time, still in force. Simultaneously, in June 2009 President Rajapaksa made what clearly appeared to be a “patronage appointment” by appointing her spouse as Chairman of the Sri Lanka Insurance Corporation. (iii) abdicated the responsibility of ruling on the Constitutionality of the 18th Amendment by nominating a bench, with Bandaranayake J as Chairman, to make the determination, whilst paying lip service to the view (expressed at his retirement) that “the 17th Amendment was better than the 18th Amendment”. 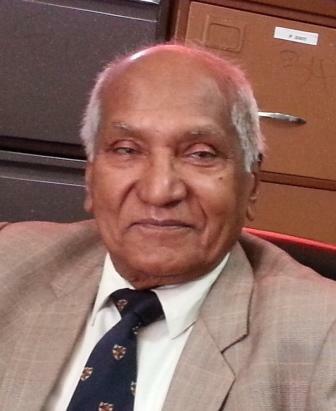 Further patronage was granted to Asoka Silva CJ when his daughter aforementioned, (who had, in the meantime got married to the son of Balapatabendi J) decided to pursue her legal studies in the Netherlands, by granting his son-in-law, Balapatabendi Junior) a non-career diplomatic appointment in the Netherlands. As if this patronage was insufficient, Asoka Silva CJ accepted the offer of appointment as Senior Legal Adviser to the President and Balapatabendi J was offered and accepted appointment as Chairman of the Bribery Commission. Under the 18th Amendment President Rajapaksa was free to make a “patronage appointment” as Chief Justice, of any person of his choice to succeed Asoka Silva CJ. He deliberately appointed “his good friend Shirani” as Chief Justice on 18th May 2011 apparently disregarding the misleading advice of Ranil Wickremasinghe, aforementioned. Without any rational reason or need to do so President Rajapaksa had made, what seemed to be an unsolicited “patronage appointment” by appointing her spouse as Chairman of the National Savings Bank on 15th May 2010. Far from being a “patronage appointment”, it now appears that this appointment could only have been made with the intention of keeping Bandaranayake J on a firm leash. In this situation, in its editorial on 6th January, 2013, a leading newspaper quotes Senior Minister Tissa Vitarana as having stated that “when asked why the President appointed Pardeep Kariyawsam, the CJ’s husband (who had earlier been appointed Chairman Sri Lanka Insurance Corporation by him) as Chairman of the National Savings Bank, the President had said that it was “done under her specific request. President Rajapaksa did not want to antagonize her and therefore had to accommodate her”. It is noteworthy that the President had already intentionally violated the Constitution (as reflected in the 17th Amendment) by appointing Asoka Silva as Chief Justice, ahead of Bandaranayake J. Tissa Vitarana has further asked “Where on earth does a judge go and make such a request?” The Editor poses the obvious counter question “Where on earth are such requests complied with?” and also provides the answer to Vitharana’s “Where on earth” question, as “Sri Lanka”. Can anyone deny that Sri Lanka is indeed the “wonder of Asia”? Clarifying the proposals of the APC, of which he was Chairman, at the Auditorium of the Institute of Chartered Accountants on or about the 31st of January, 2007, Tissa Vitarana made reference to the abolition of the Executive Presidency. He assured me, personally that evening, that he had indeed cleared this with President Rajapaksa before making that statement. I have not the slightest doubt that he then truly believed that, that was the President’s intention at that time. Nor do I now doubt his conviction that the President in fact, stated that he appointed the CJ’s husband as Chairman of the National Savings Bank “under her specific request” solely because he “did not want to antagonize her and therefore had to accommodate her” even though she had not been appointed as Chief Justice. We Sri Lankans, who are unsuspecting/gullible by nature, are compelled to believe that we have elected a President who, without forthwith initiating proceedings to impeach the Judge who made such request, instead entertains, considers and accedes to a wholly unlawful and unreasonable request of a mere judge of the Supreme Court for the sole reason that he did not want to antagonise her? By making confusion (or corruption) worse confounded (or corrupt) by proceeding to elevate such a person to the highest post in the Judiciary, does not this President owe it to the Sovereign People to clarify his conduct, or if he is unable or unwilling to do so then gracefully withdraw the impeachment proceedings which could not have been initiated and proceeded with thus far, without his knowledge and tacit approval. What's Wrong Here In This Land Of Gauthama Buddha ? So what you are saying Elmo, the supreme court has been corrupt throughout and it is time that someone cleaned it up. What do you know about the [Edited out] Vigneswaran and Salaam [Edited out]? We know they are both heavily into training lawyers in the north and east only! More corrupt is Rajapakasa and he is corrupting the whole nation. Rajapakasa must be deposed. Many, many thanks from all thinking Sri Lankans, Mr, Perera, be of good courage and stay the course! BECAUSE OF SOME THIEVES,MORONS,LOOTER,JOKERS AND THEIR CORRUPT STOOGES ARE RUINING THE GOVERNANCE. AND THERE ARE PAID LICKERS, WHO ARE WRITING TO FORUMS WITHOUT SHAME TO THRIVE ON LOOTED MONEY. There is a true story behind every appointments in Sri Lanka. most the stories are not revealed so far. most of the stories are not revealed so far. what a pity SL Judiciary! a) this is story telling a la Victor Ivan. I do trust EP unlike, VI, doesn’t confine himself to say, it’s the individuals, not the system, and if the individuals are principled the system can work well. b) Assuming EP doesn’t limit himself in that mindset, he must go beyond telling these stories about individuals( many of believe you and as mentioned above, at every appointment and contract and decision of this importance patronage and favoritism play a big role) and his analysis as a committed professional must go beyond reporting, to legal action or, some collective effort. simply to improve the system, not just change individuals and, I admit it’s not easy. I must admit as long as it’s not done, his will be a voice in wilderness. He’s too smart and committed to accept that. Patronage appointments to entice and embrace people in a sufocating embrace. To corrupt and reward for favours to be done. To cross over and become a minister. To be an activist and be above the law. To become an ‘ape miniha’, a member of the exclusive club, a member of the inner circle, to shake the warm hand of his excellency. To run around in SUV’s and attend to his excellencies requests. To receive personal calls from his excellency. To wine and dine with his excellency at temple trees. To be a member of his entourage in Sri Lankan bussiness class. The rewards of selling ones soul or being caught by the devil. Pity the people caught in this man trap. The blood and toil of this nation cries for justice. The hunger and deprivation of the poor screaming for food and economic salvation. The many such people enjoying the fruits of political patronage must think of the crime they are committing against the innocent by supporting this illicit regime. Ordinary Sri Lankan citizens have never been “sovereign” under any regime in the contemporary history of Sri Lanka. It is merely a fictional notion invoked at will, when there is competition between the power blocs. The only “sovereign” they are familiar with, at their level, is the washing soap bar available at the corner shop! 60 years after independence…..what have we gained. From Galle upto Colombo one could see the cadjan and tin houses, most of the Tea and rubber estates are abandoned and factories closed…..high malnutrition and low growth. I could write a book about where we are today after 60 years of independence. My only conclution is that our Sinhala Race is not capable of administering our country. It is a talent that we don’t have. Also the envy and jealousy of our people sand not respecting and rewarding the successful people led our country to be at present position. Infact of helping the most talented Business entrepreneurs to rise up…..they were pulled down by the respective governments. Sri Lanka is a dying state……dying slowly but surely……thanks to Politicians. At 79 years of age you are doing the Nation Proud! No one writes with such fearless idealism, principle and passion as you are doing. Whatever your religion may be you are indeed the messenger of God speaking out for Truth and Justice in the barren waste of corruption and evil to which our resplendent island has sunk. It goes without saying what an enormous inspiration you are to all of us. Thank you immensely for your great service to the Nation.